Susan has been working in the industry and has extensive knowledge and experience working on Remedial and Relaxation modalities, having a particular interest in energy healing. 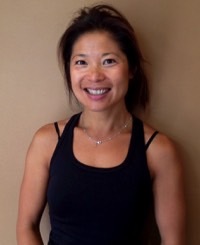 Susan is experienced and continues to update her knowledge in fascia release and muscle tension issues, having a particular interest in mind body connection and how it addresses wellness and healing capabilities in the body. Through her treatments she is able to address both chronic and acute issues and injuries including TMJ, headaches, shoulder and RSI/Carpel tunnel syndrome as well as Sciatic, lumbar and associated conditions. Susan enjoys working with all age groups and has a particular interest in the more gentle approach to healing through Therapeutic therapy and stretching exercises. She is results driven and builds a great repour with her clients in order to understand their present conditions and the most beneficial treatment plan for strength and being pain free. Susan enjoys her daily yoga practice and displays a very claim and relax manner.